Dr Michael Green is a physicist and has been working in MRI for 10 years. Graduating from Flinders University with a PhD in electron scattering, he worked at Williams College, MA, USA in laser spectroscopy before joining NeuRA working on brain elastography in Lynne Bilston’s laboratory. Michael was appointed as a senior research officer and has been a NIF Facilitation Fellow since 2009, working within the Rae Group coordinating other MRI research projects and analysing MR diffusion images. Dr Michael Green with the MRI scanner. Most people have heard of MRI, or magnetic resonance imaging. Many people also know it is used to image the brain, heart or other parts of the body and to aid in the diagnosis of disease or track the effectiveness of treatment. Many research groups at NeuRA are using MRI to provide a greater understanding of some of the most debilitating human diseases such as Parkinson’s disease, Alzheimer’s disease and other types of dementia, mental illness, and chronic immune disorders. 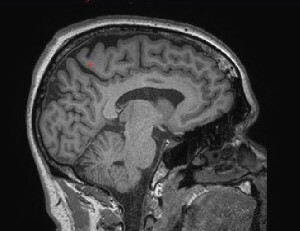 MRI can be used to obtain purely structural images of patients or healthy controls, for example. 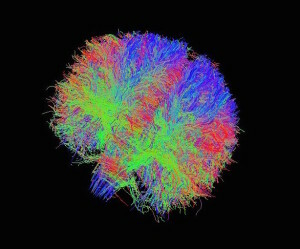 Other researchers obtain MR images to compliment psychological testing, hoping to identify which parts of the brain are being used in a particular cognitive process. Others use MRI to explore brain connectivity to understand the progression of aging and disease. Around two-thirds of your body mass comes from water, which contains hydrogen and oxygen atoms. The nuclei of the hydrogen atoms, or protons, act like compass needles such that they all align in the direction of the magnetic field produced by the MRI scanner. The protons absorb the energy from radio waves emitted by the scanner, which briefly pushes them out of alignment. When the protons realign with the magnetic field, they emit energy, which is detected as a signal. Advanced computer software then builds up an image by determining where the signals were emitted from; regions with more water (and thus more protons) will show up brighter than regions with less water. There is a whole bunch of tricks to improve resolution and contrast, but that’s the basics in a very, very small nutshell. Is there radiation involved with MRI? Radiation comes in many familiar forms such as light, radio waves, sound, and x-rays. But when most people ask this question, they are referring to ionizing radiation, or the type that is harmful to human tissue. Ionizing radiation changes the structure of the tissue, altering the make-up of its atoms. 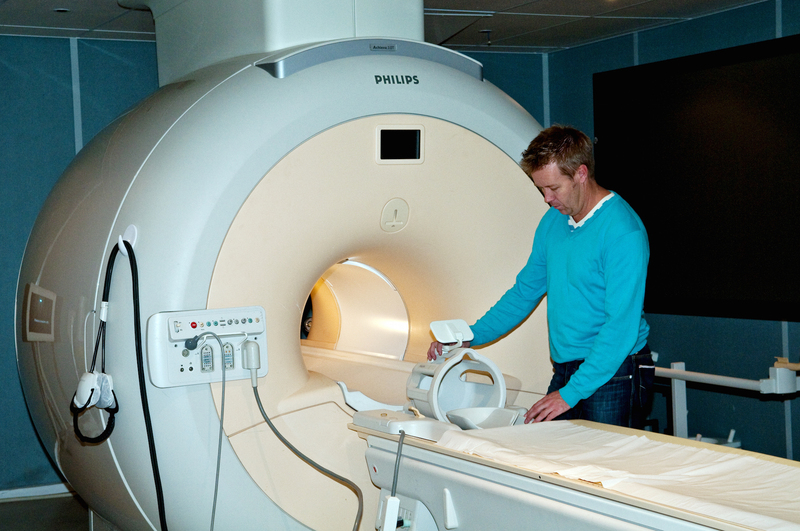 Imaging methods such as x-ray, CT (Computed Tomography) and PET (Positron Emission Tomography) imaging all use ionizing radiation. On the contrary, MRI does not use ionizing radiation. The technique instead relies on the use of electromagnetic energy in the form of magnetic fields and radio waves. These forms of radiation do not alter the chemical properties of the tissue and are completely harmless. The magnetic field produced by an MRI already on when the patient walks into the MRI room. And herein lies its biggest danger. The magnetic field produced by the Philips 3 Tesla MRI scanner is approximately 60,000 times greater than the earth’s magnetic field. Small ferromagnetic objects can reach speeds up to 90 km per hour when pulled towards the scanner and their trajectory can be extremely dangerous, striking anything or anyone in its path. The MRI radiographer will screen patients for jewellery and other metal accessories and ask for these to be removed. Some metallic medical implants are safe for MRI, while others are a contraindication for this procedure. One of the most common concerns people have with MRI is the requirement to lie in a confined tunnel, or bore as it is often called. Large coils within the shell of the MRI scanner are designed to produce the strongest and most uniform field possible at the centre of the bore. 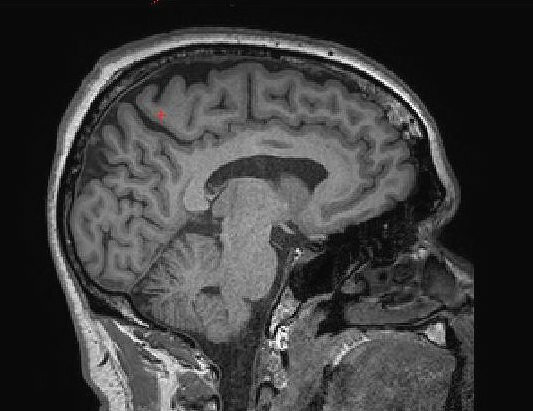 The closer the patient is to this central point, the better the images. So while the tunnel could be wider and more comfortable for the patient, the images this would produce would be of poor quality and of no use in clinical diagnosis. One could describe the sounds associated with MRI as a series of clunking or banging sounds. These can be so intrusive that patients are often given earplugs and headphones for protection. The noise is generated by the radiofrequency gradient coils housed within the shell of the MRI scanner. To create an image, the static magnetic field (the one that is ‘always on’) needs to be rapidly changed at different points across the bore. This is achieved by sending quick pulses of electricity through the gradient coils. It is these short, strong pulses that lead to the vibrations within the coils and the loud clunking noises. While refinement of protocols for testing and analysis of MR images is ongoing, there is no doubt of the importance of this method in medical research.